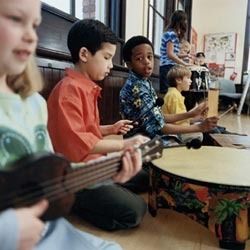 Pick an instrument or a musical technique and you have a setup for your music lesson. 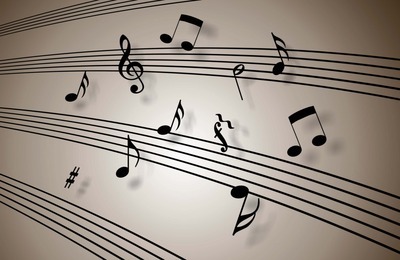 Whatever your heart desires, whether it's singing or simply musical notation – you can learn it through music lessons. You're probably used to listening to music like I am, but I bet that sometimes you wish you could play it yourself. That beautiful overture that melts your heart, you wish you could play it. Perhaps it's that symphony that you just can't manage to hum in tune because it seems scary and confusing. The composers were genii, that's true, but it doesn't mean that you can't at least mimic their music on an instrument of your choice. 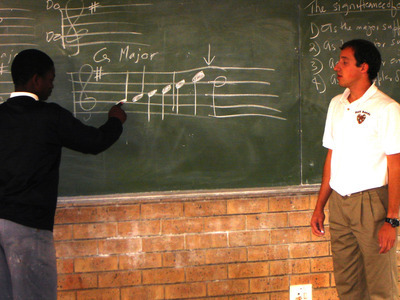 Even being able to read the notes could help you, which is why you should really opt for some music lessons. Don't let that love for Tchaikovsky, Prokofiev and Mozart go unheard. 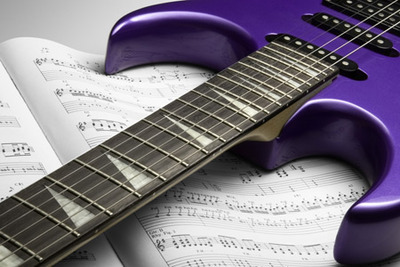 Learn an instrument and play your favourite tunes for your family and friends. Don't get discouraged by your age if you're not a child or teenager, there are classes especially for adults. 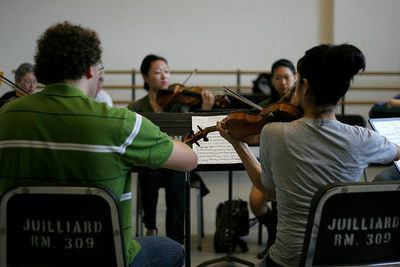 The Music Practice is one such establishment which caters especially to you. The courses on offer include the tone deaf clinic, the resonant voice, with two hands (piano), first fiddle (violin), the convivial cellist, the magic flute, clarinet a Capella, seriously saxophone, beginner guitar, the music practice choir, recorder renaissance, ukulele, drum beat, bass guitar, bassoon, brass tracks, all that jazz, blues guitar, jazz voice, jazz piano, jazz saxophone, chamber music and contemporary song. Classes are run in small groups but you can get private lessons if you so wish. Classes usually go for 1.5 hours except in the case of under three students, who get taught for one hour and a term is of ten weeks in duration. At the end of the term, there is actually a concert for you to show off what you've learned in front of friends and family. If you have children and wish to learn a musical instrument at the same time as them, perhaps it's worth checking out the Five Dock Music School. Classes run for all ages and practical instrument lessons are one-on-one. Theoretical lessons are sometimes taught in groups. You can learn the keyboard, piano, drums, string instruments such as the violin, guitar, bass guitar or cello, the clarinet, saxophone, trombone, tuba, trumpet and even musical theory. Music craft and musicianship being taught at Five Dock, too. If you're interested in another instrument that's not listed, that can apparently be arranged too. The lessons run six days a week on a schedule according to whichever times you choose but if a teacher is available outside the schedule, you can still arrange a lesson with them. This school also tries to prepare you for exams which you can sit whenever you wish. I can understand why anyone would wish to accrue some musical skills; it can be such a therapeutic way to express yourself. If you have a child, just give them a chance at music – it can relax their spirit after a hard day at school. Even if you don't become the next Bach, that shouldn't matter as musicality in itself is tranquil and beautiful. Musical creativity should be admired as much as any other type and not just for the technical difficulty of producing amazing music, but for the elation we feel from hearing something we love.